of the row counter in the table editor and the boolean symbol. Is it even possible? Would not it be easier to use Darcula GUI theme (aka Look and Feel) which will cover whole IDE? Right now you are using standard (light) theme and trying to apply dark backgrounds. 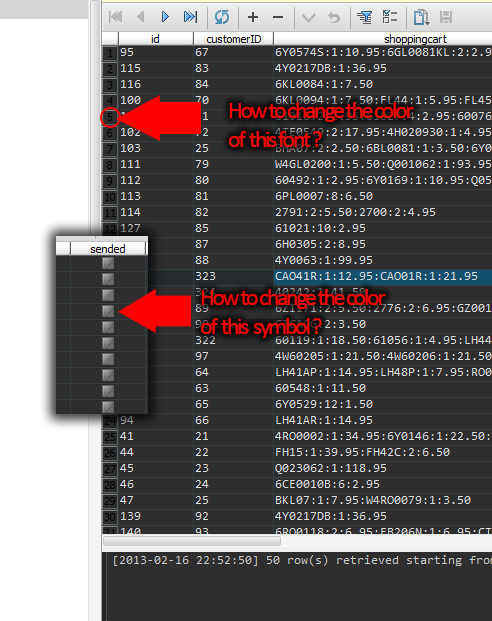 As for the actual question -- I do not know, but most likely it is hardcoded / part of the theme (which means -- not configurable under Settings | Editor | Colors & Fonts).